What does the Lord mean when He utters these words in Psalm 50? He is telling us that our way to be reconciled to him - always - will be by a covenant made with Him by way of sacrifice. Way back in Psalms, there is a whisper, a hint, of the glorious salvation to come by way of Sacrifice. In the Old Testament, this was pictured for us in the sacrificial system, a system practiced for thousands of years by the Jews. This involved sacrificing an unblemished animal (in itself a mercy, that God would allow an animal representative to temporarily cover the sins of the human who was bringing it for sacrifice, but still showing the seriousness of sin, in that blood was required for the sin to be covered). 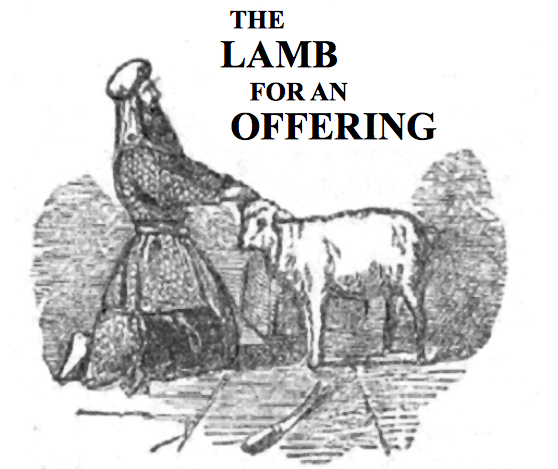 In the New Testament, this sacrificial system was gloriously fulfilled in the One of whom John the Baptist said, “Behold, the Lamb of God who takes away the sin of the world!” (John 1:29) That One was Jesus Christ, the God-man who was both fully God and fully man, the One who manifested himself in the flesh that He might fulfill the righteous requirements of the Law. This was done out of the great mercy of God, who sought us while we were still sinners (Romans 5:8), while we were dead in our trespasses and following the ways of this world (Eph 2:1-2). 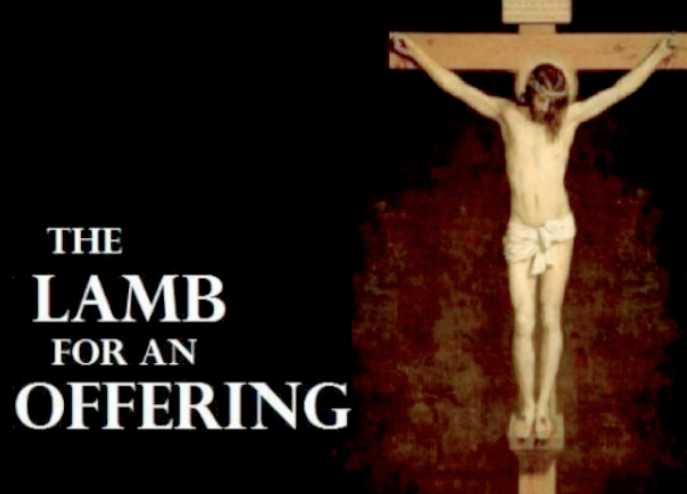 The Old Testament sacrificial lamb: this was but a shadow of the New Testament Lamb of God, Jesus Christ, who came and gloriously fulfilled this shadow. “Therefore, just as sin came into the world through one man, and death through sin, and so death spread to all men because all sinned— for sin indeed was in the world before the law was given, but sin is not counted where there is no law. Yet death reigned from Adam to Moses, even over those whose sinning was not like the transgression of Adam, who was a type of the one who was to come. But the free gift is not like the trespass. For if many died through one man’s trespass, much more have the grace of God and the free gift by the grace of that one man Jesus Christ abounded for many. And the free gift is not like the result of that one man’s sin. For the judgment following one trespass brought condemnation, but the free gift following many trespasses brought justification. For if, because of one man’s trespass, death reigned through that one man, much more will those who receive the abundance of grace and the free gift of righteousness reign in life through the one man Jesus Christ. The path to reconciliation with God - both Old Testament and New Testament - has always been through faith in God and his plan for salvation. In the Old Testament, God's faithful believers did not know that this plan was a man named Jesus who was God's own Son, who would fulfill the Law on our behalf, that He would suffer and die on a Cross, and that his blood would be shed as a ransom for many. They did not fully know what God's plan was for them, but by faith, they obeyed God in offering up sacrifices to him in the sacrificial system implemented by Him. New Testament believers have the joy of having Christ himself, who gloriously fulfilled all the types and shadows of the Old Testament sacrificial system that were but dim pictures of him and the work of salvation the He did. We also have the Scripture, the completed and finished canon, which reveals in full God's plan of salvation. Glory to God, that in his boundless mercy He would make a way for wretched, sinful man to be reconciled to him.